I love podcasts! You can find podcasts on any topic and today I want to share great podcasts for creative entrepreneurs. Podcasts has helped me so much in my own creative pursuits and they are perfect to listen to while I do my sewing, or housework. 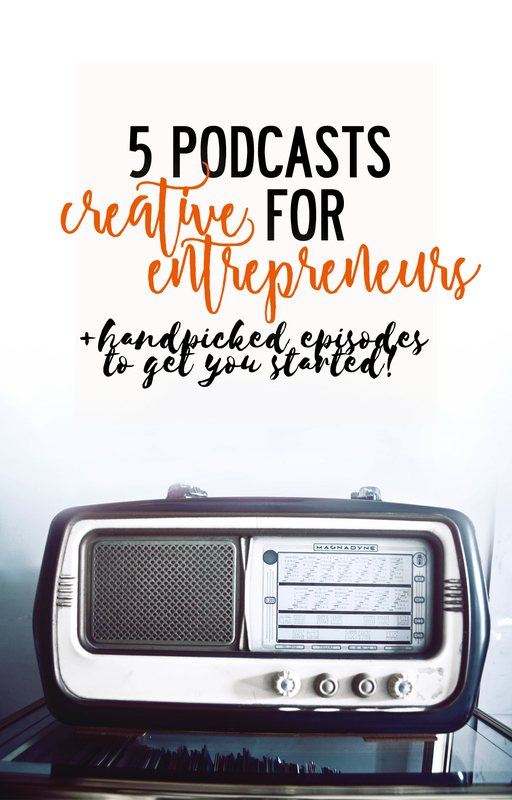 I hope you love these 6 podcasts for creative entrepreneurs as much as I do. 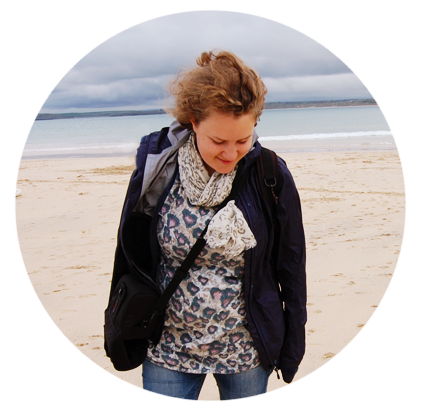 The Create and Thrive podcast is hosted and run by Jess Van Den. She runs her own jewelry business, as well as helping other creatives to thrive in their creative business. Jess is one of my favorite people when it comes to advice about running a business. She is open and honest with her advice and is always helpful! It is not healthy to strive for perfection. If we think everything has to be ‘perfect’ for us to start, we are likely to let ourselves down as perfection is and will always be an unattainable goal. Elise gets Crafty is all about running a small creative business. Elise talks to different business owners about the different aspects of running a creative business. It’s fun to listen to how other people feel about creativity, business and entrepreneurship. So many of us work to build businesses and careers “on-the-side” and this episode discusses motivation and staying accountable. Etsy Conversations is exactly what it says on the tin: conversations with Etsy sellers. Each episode feature a different Etsy shop owner. As an Etsy shop owner, I love hearing how others are doing things. A lot of big, successful etsy shop owners show up here, so you can also search for your favorite shops and hear how they made it happen. Kathleen shares her journey as well as some valuable insight, tips, advice, and interesting resources that she recommends other sellers consider. (…) she explains how she utilizes “Brand Reps” from Instagram to help her provide beautiful product photos in her shop and on her e-commerce website. Etsy Jam is produced by the people behind the SEO tool Marmalead. Because of this they talk a lot about SEO, but they also invite creative entrepreneurs to chat about lessons learned and advice to other sellers. It’s Etsy focused, but still helpful for others who might want to know more about SEO. Two Inboxes is all about doing the side-hustle. The host talks to people who have a day job, but are still building their business on the side. It tackles how you can manage your time, being productive and how to keep the balance between the two jobs. Listen in as Nicole shares her journey to the other side of fear, including her path of being a child actor on Sesame Street, how a conversation with her mentor shaped her career path, a life hack that will help you get your time back (hint: it involves the phrase “Friday is impossible”), and the importance of being undeniable. How about you? Do you have any podcasts for creative entrepreneurs? I would love more greatness to listen to!